Thanks to Tom Stamm for donating many of the images to this section of the site. Visit his flickr page here. Each day a few hardy souls cycle from sea level to the summit (10,023 feet/3055m). The park roads are open to uphill or downhill cycling 24 hours per day. In planning your trip, please remember:The entrance fee for an individual/cyclist is $5. You are entering a high-elevation environment. The only pay phone in the summit area of the park is at the Park Headquarters Visitor Center at 7000 ft/2134 m.
There is no bike path. You will be sharing a narrow, winding mountain road with cars and buses. The Summit and Kīpahulu Districts are remote. An ambulance can take up to 45 minutes to arrive at either district from the nearest town. 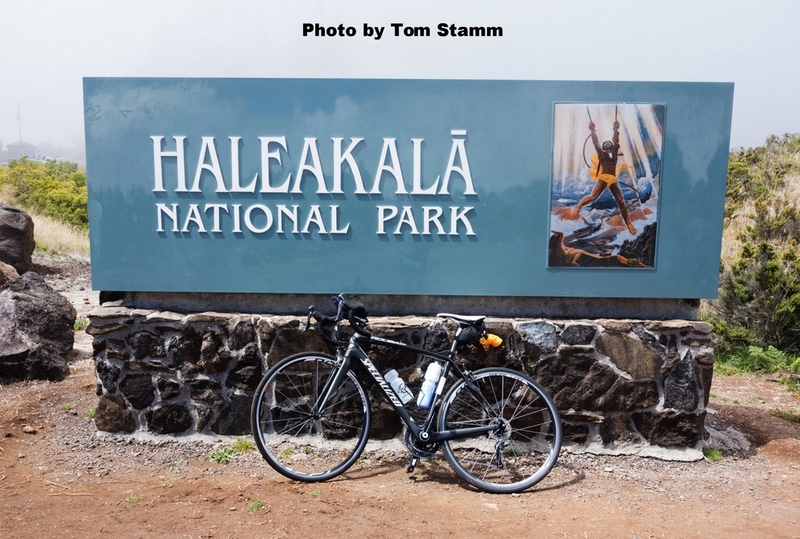 People with respiratory or other medical conditions should also be aware that the summit of Haleakalā is at 10,000 ft.
One of the most raved-about activities in the Hawaiian islands is the sunrise bike ride in Haleakala National Park. 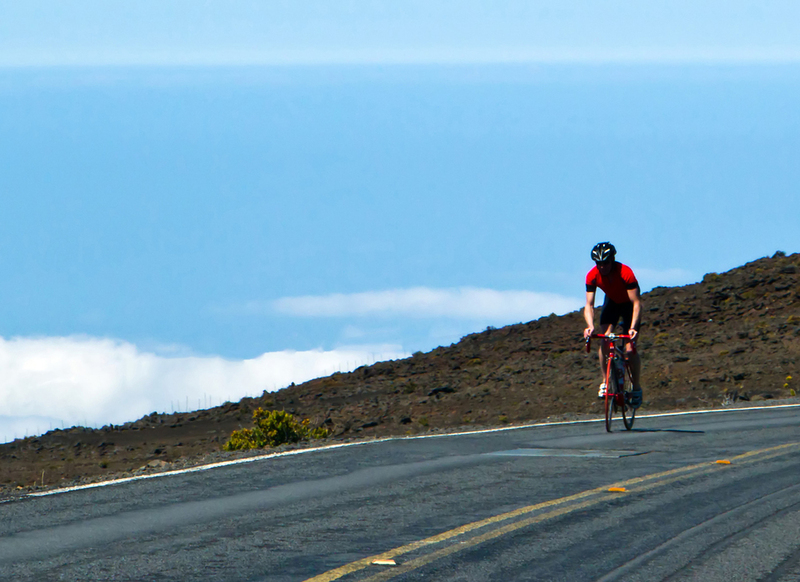 If you're a road biker, the challenge of the uphill ride to the summit is a daunting but rewarding challenge. For recreational bikers, a commercial tour is the recommended route to go. Tours depart at 2-3am to head for the 10000 ft summit where participants view the epic sunrise filtering over the volcanic mountain tops. The ride then proceeds down the mountain to the oceanic valley. This is often described as one of the best rides of people's lives. Several tour operators run tours from Maui to do the National Park ride including Maui Sunriders. A quick google search will yield other results and it's always a good idea to check businesses out on TripAdvisor to see previous visitor experience.